The United Nations estimates India will have a population of 1.45 billion, overtaking China, by 2028. 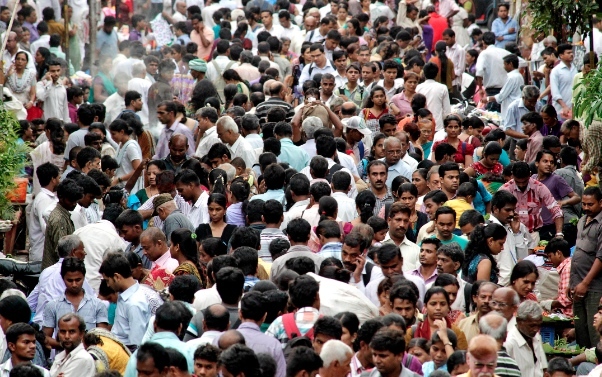 India boasts a current population of 1.2 billion with one in every six person in the world being Indian. The average population density is 382 people per square kilometre, 2.5 times of that of China. In metropolitan cities such as the capital, New Delhi, the population density reaches more than 11 thousand person per square kilometer. The new United Nations (UN) report said that by the end of the 21st century, Nigeria could potentially displace China as the second most populous country. According to the UN, the current global population is 7.2 billion which is expected to reach 9.6 billion in 2050, with a faster growth rate in developing countries and Africa. India has increase population in 2019. india is the second country to increase growth demographic and in future India will be the biggest number one population country. So India govt. take to the hard decision to decrease demographic, economy and population.